Nice weather brings the perfect opportunity to visit your favorite park in the Indianapolis Area. 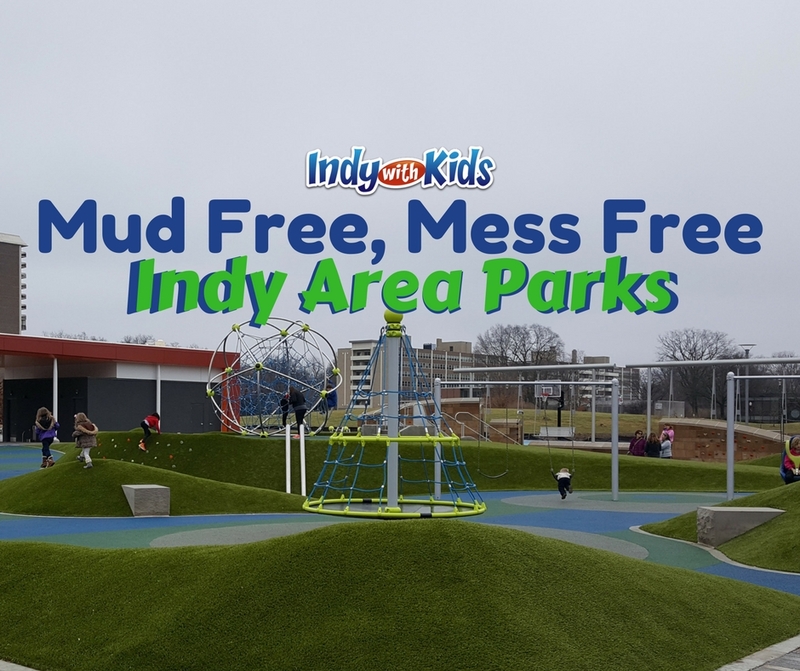 If it rains or snows and you don’t want to bring home a big muddy mess, we have your dirt-free, mud-resistant, clean surface parks. Letting kids get a little (or a lot) dirty isn’t bad, but there’s a time and a place for messy and a time and place for good, clean fun! Check out these parks in Johnson County, Marion County, Hendricks County and Hamilton County that have poured rubber surfaces or other types of dirt free areas. If we forgot about YOUR favorite park, let us know in the comments at the bottom of the page!